The Trust’s Policy Manager Meg van Rooyen looks at the new Goods Mortgage Bill included in the Queen’s Speech. 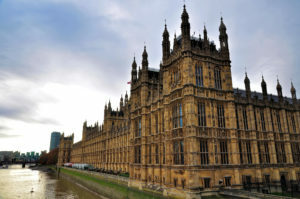 In an eventful few weeks at Westminster – to say the least – a new piece of legislation appeared in the Queen’s Speech designed to tackle a long-running cause for concern in the advice sector. Bills of sale are commonly used to secure a “logbook loan” on goods you already own, usually your car. This is a form of high-cost lending that has been a source of considerable problems and caused substantial consumer detriment. Based on legislation that dates back to the 19th century, bills of sale are an archaic lending vehicle with obscure and complex rules that has no place in a modern society. The lending products offered using bills of sale are both oppressive and enforced unfairly and the advice sector has repeatedly raised concerns about logbook loans. It seemed particularly unfair that people who have innocently bought a second hand car with no knowledge of an existing logbook loan attached to the car, can still lose the vehicle. What will replace bills of sale? We have been working with the Law Commission to reform bills of sale (you can read our response here) and we are very pleased to see action being taken. Although our preferred outcome would be an outright ban on bills of sale, the Law Commission has decided to go for a reformed form of borrowing secured on goods you already own. The Law Commission report has led to a new bill announced in the Queen’s Speech which will scrap bills of sale and replace them with a new form of “goods mortgage”. We hope that the proposals will mitigate some of the worst aspects of logbook lending and go some way to increase protection for consumers, creating a modernised loan product with effective consumer protection. It appears that the eventual product would look similar to a hire-purchase or conditional-sale agreement under the Consumer Credit Act 1974. The Bill will repeal the Bills of Sale Acts and replace them with an updated Goods Mortgage Act, which will still allow people to use their car or other goods as security for a loan, but also offer them better consumer protections. There will be increased protection for borrowers with the introduction of a new requirement on lenders to obtain a court order before taking goods. This will match the hire purchase rules and apply once the borrower has paid a third of the loan or more. We will need to make sure that the proposals will be effective and that protection is not diminished by a requirement for borrowers to “opt in” to court protection. Borrowers will be able to voluntarily terminate their agreement and hand their car or secured goods over to the lender. This again mirrors the hire purchase rules but does mean that consumers will typically stand to lose an asset such as their vehicle because they cannot pay what can be a relatively small loan amount. We strongly support the proposals that an innocent private purchaser who acts in good faith and without notice of the logbook loan should acquire ownership of the goods. The current situation is extremely unfair on private purchasers who are faced with losing their vehicle, paying back someone else’s logbook loan or paying the logbook loan company for a vehicle they have already paid for. Do we have to wait for legislation? We do not think that the FCA needs to wait for new legislation to tackle some of the problems in the logbook loans market. The FCA should take immediate action in relation to the following areas.  Ensure there is adequate information on the costs of borrowing for borrowers as people do not understand how much they have to repay or that they run the risk of losing their vehicle. Logbook loans are typically offered at very high interest rates. The FCA should consider whether a variation of the price cap for high-cost, short-term credit (HCSTC) should be applied to the logbook loan industry. The Law Commission will now put together a draft of the Goods Mortgage Bill. The intention is for this to go through parliament through a special procedure for “non-contentious” legislation. We will be having a detailed look at the draft Bill to make sure that it contains the best possible outcomes for our clients.